It is a fact that the manufacturer's of many of the air filters on the market for your heating and air conditioning system make claims that are wild compared to their perofrmance. While I cannot bring the brand name fo the bad ones to you on this website (litigation), I can bring the brand names to you that perform exceptionally well under our test conditions. This page will be dedicated to those. We are currently setting up 2 separate systems in our own in house HVAC classroom that will ba able to test just about every type of air conditioning and heating filter on the market. I hopr to have this page completed within the month. 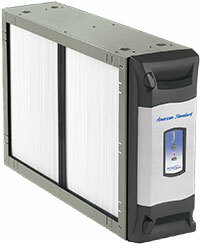 This is your standard throw away filter or the reusable filter that comes witht he furnace. About the only thing this filter will stop is dogs, cats and bowling balls. It is meant to protect the furnace, not your lungs. This is a standard cut to fit, usually a blue or green plastic filter. They come in 2 standard sizes and a roll. These are specialy made for applications where noise can be a factor. Ceiling registers where the filter will moved and clank if it has a metal frame. These have either a metal or plastic outer frame and are meant to go into a filter box or the furnace itself. These are primarily used in commerical rooftop systems. They are throw away filters. These are primarily used in rooftop systems where people want a higher degree of air filtration. Useful for homes and businesses or schools. For the residential market for mild allergy sufferers. 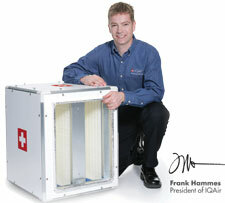 This is the first air cleaning filter on this list. Do not use it if you have air conditioning. If you only have a heater or furnace this is going to be the best low end filter you can buy. This is a step up from the 1" 3M Filtrete. It cannot be used in furances and must be used in filter boxes. It has more loading ability and less static pressure resistance than the 1" filter. Not in style anymore. Turns out that this filter is excellent for a few days and then starts to lose it's ability to clean the air. Snap, crackle and pop noises seem to biggest complaint with these filters. Unbeleivable filtration with a media air cleaner. Does not produce any ozone and filters through a series of micro-fine pleated filter media that is unlike any other. This is recommended for allergy sufferers and those that are sensitive to ozone. This will deliver hospital grade air. This whole house air cleaner shoul dbe installed with new systems or system under going a retro-fit. It is large and will not fit in most upflow applications. Our tests show conclusively that this whole house air cleaning system is the best on the market. It does release some ozone, but the ozone amount is variable and can be turned down. this can be installed in most upflow and horizontal applications and comes with a 5 years warranty from the manufacturer. Thank you for such a competent, hard working crew you sent to my house. Not only quickly accomplished but clean. 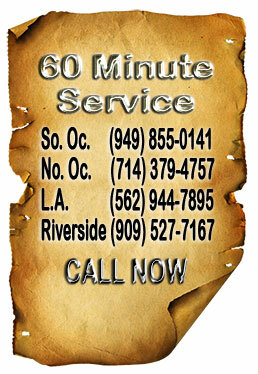 We most highly recommend them based on quality of service that they provided us.